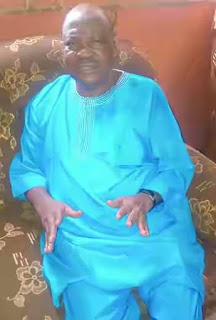 Colonel Gabriel Ajayi (rtd), one of the military officers who was roped in as part of the 1995 phantom coup is worried about the level of bloodshed in the country. He urges the Federal Government to immediately arrest the deteriorating clashes between the farmers and herdsmen. In this interview with WILLY EYA, he speaks on various issues. In recent time, Nigeria has literally become a killing field following the clashes between farmers and herdsmen. What are your views on the ugly development? I do not feel happy with the security situation in the country. This is because they are shedding too much blood in peace time and it is not good for the health of any nation. It appears the government is having so much challenges; the government is supposed to provide security, welfare and the wellbeing for the people. That is the essence of the government. If there is so much bloodshed like this, it means something is faulty somewhere. You cannot shed blood to stop bloodshed. If you use the military to stop the shedding of blood, the military would have to shed blood in the process. So, we have to design a means to ensure that we are able to stop bloodshed without shedding blood. The whole situation is a mystery I cannot understand. I do not know what is actually wrong and why some people are challenging the government. The challenges to the government are so much. Nigerians are too forcefully political and they do not care to see to the health of the nation more than anything else. That is part of it that is very painful to me. I do not know how the government is going to handle the situation. The government must find a solution to the bloodshed going on in the country. And why should a herdsman from Sokoto leave his state and come to Zamfara; why can’t the herdsman in Sokoto be accommodated in his state? Why can’t the herdsman in Kano be accommodated in his state, Kano? Why can’t the herdsman in Kogi be accommodated in Kogi? Why must they always move to another place outside their state? That is the question we must all answer. If the government says they want a solution to it, if they say they want to put a ranch in Ogun State, the Yoruba must be the cattle owners. We must not condone the idea that somebody must leave his state and herd his cattle to another place. Let them restrict the cattle movement to their own state. One of the things that the government should do is to look at how they can restrict the movement of these herders and their cattle. Though there is the so-called freedom of movement, when the freedom of movement would lead to bloodshed, we have to look at it, weigh the options and know which one is right and more important. I know that there is nothing you do that would not have advantages and disadvantages. We have to look at the one with more advantages and less disadvantages. Let them herd their cattle in their states for the time being and let us see what happens and gradually, plans could be made for a permanent solution. The Ministry of Agriculture and natural resources should encourage the establishment of ranches. But to say that you want to solve the problem of the nomadic herdsmen moving from Maiduguri to Akure, that would be a very difficult thing to do. This is because the man herding his cattle for instance from Sokoto to Akure would have to pass through so many states. How do you herd cattle from Sokoto through Zamfara, Kaduna, Niger, Kogi and down to Osun State? It is not an easy thing to do. Again, we are now so populated unlike the early 60s when Nigeria had not grown like this.